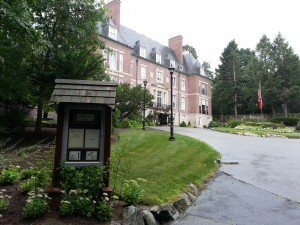 The MIT Endicott House is a full service hospitality based conference center owned and operated by the Massachusetts Institute of Technology. Individuals decide to work at MIT because they find jobs that offer them unique challenges and opportunities for professional growth. They choose to work in a diverse and stimulating environment and believe in MIT’s mission to advance knowledge and educate students in science technology, and other areas of scholarship that will best serve the nation and the world in the 21st century. MIT is a great place to work for many reasons. As a prospective employee, we encourage you to explore the many resources that enrich our work life. Many of our employees are eligible for our outstanding benefits. We invite you to visit MIT Human Resources Web site to explore other resources that help to make MIT a great place to work. Please call the MIT Endicott House for further information or contact us online. Be our guest for a complimentary lunch & estate tour today!